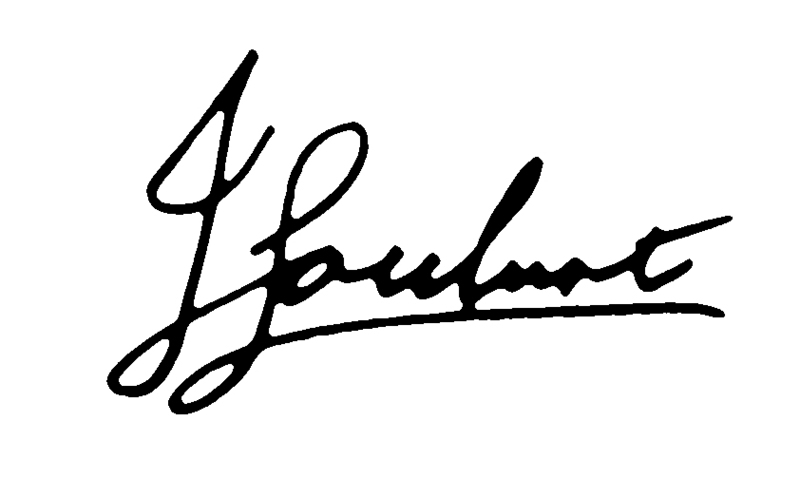 Hi, my name is Francois Joubert. When it comes to investing in the stock market, I believe there’s only ONE way to make serious gains. It’s not something you’re likely to hear about from a broker, or any run-of–the-mill financial advisor. In fact, it remains virtually overlooked by the majority of mainstream investors. Today I’d like to show you why I think it’s entirely possible for you to make DOUBLE YOUR MONEY in the next 24 months … Because although there are a lot of gloomy economic headlines out there right now, it doesn’t mean investment opportunities are thin on the ground. I started investing in this particular type of small cap share when I was at university at the age of 19. Our holidays - I’ve been to Malaysia, Indonesia, Mozambique and on a number of South African holidays in the last year alone! I’m pretty much debt – free and I’m 29 years old! Now you may just think I’m lucky but over the years, I’ve helped family members like my father and uncle, fund their retirement by setting up their own portfolios. And it’s also why in 2010 I decided to chuck in my engineering job to pursue my passion for investing and join FSP Investment Research. It enabled me to do two things. 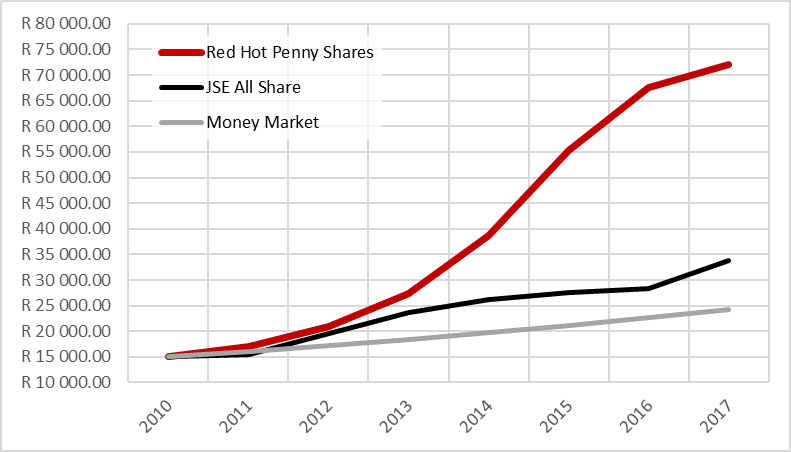 First, to concentrate my skills and experience on penny share investing, and second, to help the novice investor through my newsletter, Red Hot Penny Shares. Since 2010, I’ve been helping a a small group of investors grow their wealth. Those who have been with me since the beginning have grown their money fivefold. In fact, had you followed each of my recommendations since 2010 you could’ve easily turned R15,000 into more than R72,000 by today. The same amount invested in an Index Tracking ETF such as the Satrix 40 would’ve turned your R15,000 into only R29,484 between 1 January 2010 and 27 September 2017. That means your investment in the kind of small cap shares I recommend would’ve outperformed the market nearly three fold! But I say: “that’s all in the past what about 2018 and beyond”. 125% in the next 12 months from this ‘backdoor’ opportunity in a sector expected to grow 400 times in 2 decades! These kind of share moves could turn R10,000 into R20,000, R50,000 into R100,000 or even R100,000 into R200,000 in the next 24 months…. Don’t get me wrong, you won’t always make 100%... Sometimes you’ll come away with 56% or 85%... or you may even TRIPLE your money. ~ You don’t need to know the first thing about investing in the stock market. That’s the beauty of this unusual type of investment. It’s the most ignored sector of the financial markets. The big institutions and fund managers pay no attention to it just because it’s way too small for them but not for the regular investor like you or me. And the best part is you can start with R1,000, R5,000 or R10,000 – whatever you can afford. Quite simply, when it comes to great capital growth, they’re putting their money in all the wrong places. Identifying the right places to put your money isn’t exactly rocket science… But people still tend to get it wrong time and time again. Because they’re all too eager to follow the investment herd and put their cash into the same stocks as everyone else… Namely, big name “blue-chip” stocks – like Standard Bank, Anglo American or SAB – that have no real potential for significant short term growth. Choosing an investment can seem a bit like aiming for a bulls-eye in the dark. It’s a horrible feeling. Nobody likes putting time, effort and money into something and getting hardly anything back in return. And in my opinion, that’s why the majority of investors DO tend to follow the herd… Because if everybody else is comfortable with putting all their money in big-name stocks, that must be the right thing to do, mustn’t it? It can’t be that dangerous, right? The simple fact is, investing in shares is ALWAYS risky… And in my view, you should always approach an investment with a mid to long-term view. Yes, run-of-the-mill blue-chip stocks like Vodacom or SAB are generally lower risk than the kind of shares I want to tell you about today… But in my opinion, they can be about as rewarding as watching paint dry 99% of the time. These DOUBLE YOUR MONEY shares will keep you right on the edge of your seat! The chance to make some of the biggest profits available on the stock market fires me up – plain and simple. But the shares I want to tell you about are risky. They carry all the normal “heat” associated with investing in shares: Prices can go down as well as up, so your capital is at risk. But they also carry additional risks – in fact they can be a gamble. And that will always turn some people off. Fine. That’s their call. Their choice. Point is, if you want to invest your money prudently and conservatively, most people tend to think that blue-chip stocks are the sensible option. And they are right. But I go a different way. For me, the mere taste of the huge potential returns makes the risk worth it. And so, it’s something I’m happy to invest a small amount of my spare capital in. It would be foolish to put ALL the money you have on the side into these kinds of stocks… But when they’re part of a balanced portfolio, I believe these kinds of investments can be where the really big wins are at. I don’t know anybody who has made DOUBLE THEIR MONEY being cautious with all of their money… And my guess is that the majority of cautious investors only experience sensational wins once, maybe twice in their entire lifetimes. But if you’ve got some spare cash there’s no reason you have to follow suit. For the small group of investors who’ve been receiving my stock tips, since 2010 it’s been a wild but profitable ride but in that time they would have doubled even tripled their money on some 12 stocks and if they’d cashed in at the at the end of September, they would have been paid out 5 times their initial investment. FIVE TIMES your initial investment! Hi Francois, I’m fascinated on how the stock market works. RHPS taught me how to be in control of my own investments and still learning from your tips. Total return for the past 5 yrs. = 249%. If you’d bought R10,000 worth of shares in this little miner, when it was tipped, you’d now have an extra R37,014 in the bank! Ever heard of a company called Pan African Resources? I wouldn’t be surprised if you hadn’t… But any investor who had heard of this little miner, and who had been clever (and brave) enough to buy shares in it just a few years back, would now be sitting on the kind of gains most people never even get a whiff of! Pan African Resources is a resource company that owns a portfolio of precious metals mines in South Africa. Sure, on the surface, this might seem like a pretty distant play… but look a little deeper and it’s far from being the kind of thing investors should ignore. In 2009 and early 2010 it looks pretty much as you’d expect from a young company. There are a few ups and downs, but overall the share price doesn’t move enough to be terribly interesting. So what was the company doing during this period? While the rest of the investment world was busy hunting out profit plays, and trying frantically to beat the recession, Pan African Resources was quietly cementing its position as a low cost producer of gold and platinum. Just look what happened to the share price between 2010 and November 2013! 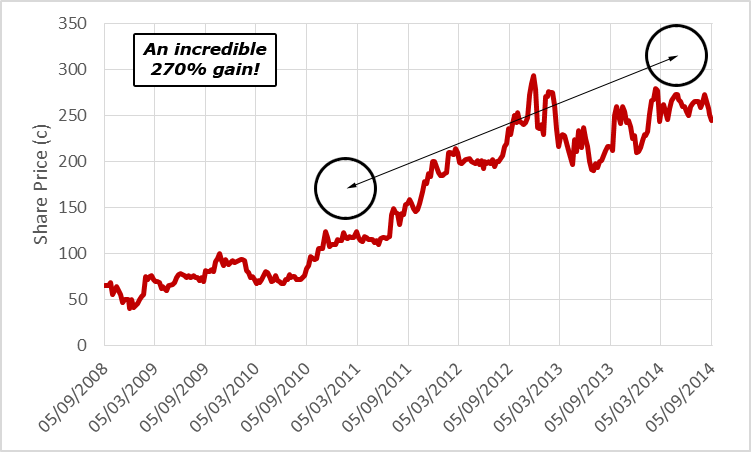 It skyrocketed an incredible 270%! Not bad for a company that the market was largely ignoring! I personally recommended and tipped this share to my followers, and its amazing growth story is one of the best examples of my strategy in action. You see, it started out as a relatively small unknown company with an unimpressive share price track record, but in a three-year period investors nearly TRIPLED their cash on this single investment! That means that if you had invested R10,000 back in 2010 – before the company took off – you would’ve ended up with a colossal R37,014! That’s a much better return than you would expect from shares in any well-established larger company. Now, here’s where my strategy gets really exciting… You see, Pan African Resources isn’t the only profit story like this. Its incredible growth surge is not some freak occurrence. There are loads of companies with DOUBLE YOUR MONEY potential out there; companies with small share prices and big potential that most investors never hear about until after the gains have been made. Of course, there are also many companies that show potential but for whatever reason don’t make it. I’m not for a moment suggesting that ALL small cap companies will take off like Pan African Resources did. Many start-up businesses crash and burn pretty quickly, others take too long to get their feet off the ground…that’s why investing in them can be risky. But I firmly believe that the small companies that don’t make it are either badly run from the outset… Or just damn unlucky. That’s why it’s vital you do your homework before investing a single cent in ANY company – you won’t ever be able to eliminate bad luck, but you can do your utmost to weed out the bad businesses. Shortly, I’ll show you a way to cut out the leg-work when it comes to choosing the best companies to invest in… Starting with the four shares I’ve hand-picked for my 2018 play book. But first… What exactly is the strategy behind amazing profit stories like Pan African Resources? When these investments pay off, the rewards can be absolutely mind-blowing! There’s no real trick to making huge profits like these. In my view it’s just plain common sense! Companies like Pan African Resources are exactly the kind of businesses I look for. Very simply, my strategy aims to find the smallest, most innovative, potential-packed companies out there… Growing companies that haven’t yet fully left the ground but that could be right on the verge of a huge profit surge. In short: a certain type of small cap - penny shares! Imagine the lifespan of a company… As this chart shows, any business that gets off the ground generally follows an ‘S’ shaped curve as it grows. It starts out in ‘childhood’, as nothing more than a big idea and a small team. Its product is ready but still virtually unknown. It’s raising the cash it needs to develop. 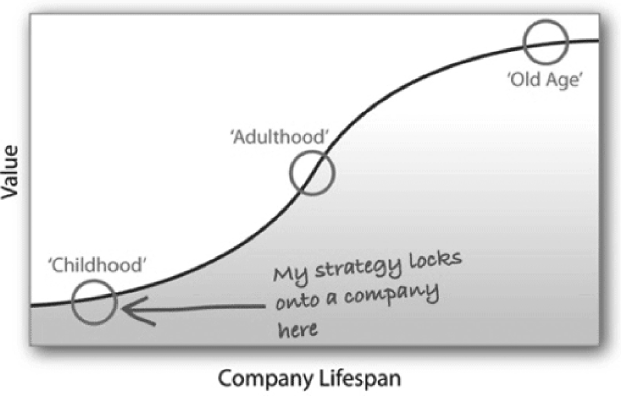 If the company is successful, it then reaches ‘adulthood.’ As you can see, that’s the steepest section of the chart. The product sells. Profits and revenues are on the rise. There is opportunity for reinvestment. Now, the transition between ‘childhood’ and ‘adulthood’ is when you, as an investor in that company, are more likely to make the BIG profits... And this is exactly what happened for investors who got in early on Pan African Resources’ revival! UPSHOT: Buy stocks before the company has taken off the ground… And wait for this rapid growth surge to boost the share price. Of course, the childhood stage is when a company is at its most vulnerable… And it would be pretty reckless to invest in just any old start-up. You need to be 100% confident in that company’s product or innovation before you consider investing your spare cash. There are a lot of small companies that never make it out of that blue circle you see at the bottom of the lifespan chart. By the time a company is as big as Shoprite or Capitec, it has already reached ‘old age’. As my chart illustrates, by that point it’s pretty much flat lining. It’s done about as much growing as it possibly can. It might have a lot of publicity and be instantly recognisable… But it now has competition, a lack of opportunity, and growing pressure from shareholders who wonder why they aren’t making much money from their investment! Of course, companies in ‘old age’ offer dividends as an incentive to investors. That’s great for part of your investment portfolio… but at 2-6%, I don’t think it makes up for the lack of growth potential. I want the investments I choose to do much better than that. In fact, I want the investments in my penny share portfolio to grow at over ten times that rate! Look at it this way, and I think it’s easy to see where you should be putting whatever spare capital you can afford to lose. Generally, the shares I look for are for the mid to long-term. It takes time for an investment to deliver. I’m not interested in superficial ‘quick fixes’. And as you’ll see, the huge rewards these types of stocks are capable of make the wait worthwhile! This, in brief, is what my strategy is all about. It’s about buying shares in small, unknown start-ups in the hope that they take off – like the four companies I tell you about in my 2018 play book. Conduit Capital is a little-known finance company. Its focus is specifically on niche insurance. 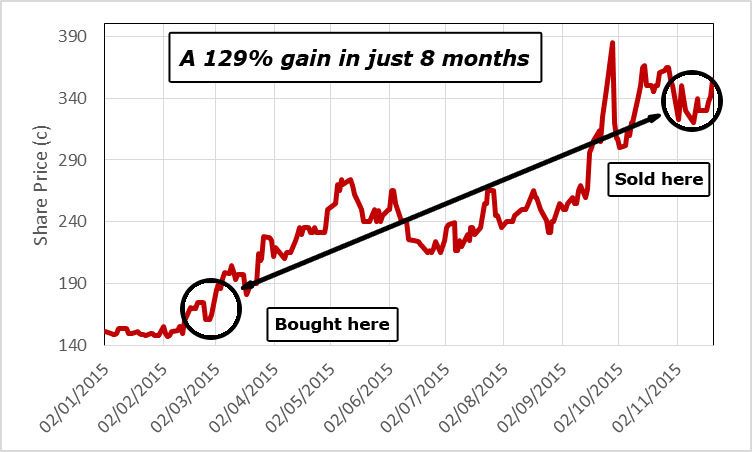 So, in March 2015 I recommended my readers buy Conduit Capital at 161c a share and hang onto their investment for 12 months in anticipation of an 86% gain. Sure enough, by November 2015 Conduit’s share price shot up to 370c a share – even higher than my prediction! That’s Double their Money in just 8 months! That means if you’d acted on my research and invested just R10,000 in Conduit Capital in March 2015 when the shares were selling dirt cheap, you’d have a cool R22,981 sitting in your bank account right now! Not bad for a company that, just months earlier, no-one was interested in! Bottom line: if you go against the investment herd and look for companies that have the potential to be like Pan African Resources and Conduit Capital – good basic businesses, still in the ‘growth’ phase, I believe you’re far better positioned for the BIG wins than any investor solely reliant on stuffy old-age shares! The real trick to my strategy is identifying the good, solid companies that I believe have the potential to really take off… Because, as I said before, many crash and burn at the first hurdle. So let me ask you this… If YOU were given the chance to learn how to build your own, independent penny share portfolio with the guidance of a committed penny share pro… Would you take it? Shares in this tiny company could double thanks to this ‘backdoor’ opportunity in a sector expected to grow 400 times in 2 decades! Just a normal activity right? But in this case, you don’t take control of the wheel. Instead, you punch a destination into the navigation system and your car moves off by itself. Driverless cars will be for sale to the public within two years from now. Ordinary people like you and I could own one within the next ten years. And if it’s not driverless, chances are it’ll at least be electric. Currently there are roughly a million electric cars in the world, compared to 1.2 billion cars in total. That means, for electric cars to reach the one in three mark they will grow from the current million to 400 million. And there’s a way to take advantage of it right now and capture gains of 125% in the next 12 months. My super-powerful, time-tested Early Warning System predicts this one will sky-rocket! The fundamentals on this small aluminium company are perfect. It scores top marks when plugged into my special Early Warning System. With shares currently trading at 618c, with a net asset value for the company at 1,394cps, you are getting this amazing company at a 55% discount. I think this company will be a star performer – worthy of inclusion in any millionaire’s portfolio. Get my FREE report on it without delay! 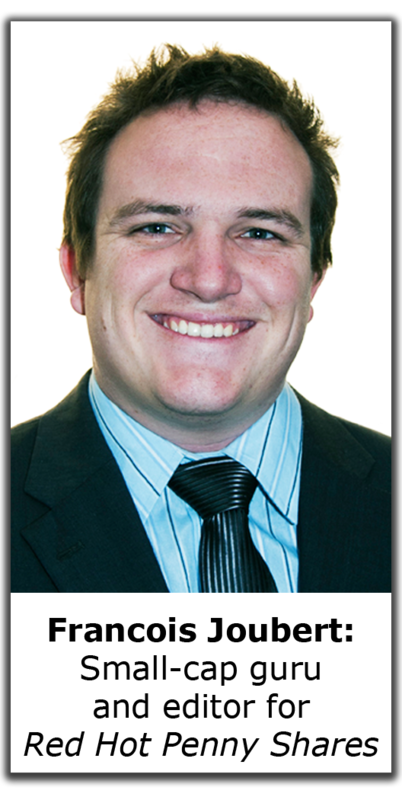 This could be one of the JSE’s cheapest growth shares, and most investors don’t even know it! My free play book includes in-depth profiles on this gem plus three others. Inside, you’ll find all my detailed research. I’ll give you reasons why I think each of the companies I want to tell you about could DOUBLE YOUR MONEY in the next 24 months… A breakdown of how I arrived at each percentage forecast… And crucially, I’ll tell you how you can access their names and ticker symbols so you can invest in them immediately. But before I tell you about them, just bear with me for one minute. Warning: these explosive little shares can be VERY risky! I don’t want to hand out these tips to just anybody… It would be wholly irresponsible if I did. As I mentioned earlier, the kind of shares I deal with are risky… And I want to briefly give you the full lowdown so you know what kind of investments you’re dealing with here. These stocks often have a small market capitalisation… Meaning the company may not be worth a huge amount of money. And more often than not, only small amounts are traded at any one time. You might see that referred to as being ‘thinly traded’. That can mean the share price is more volatile – and any good or bad news can have a large impact on the price. For example, if a company announces a glittering new deal, the shares could shoot up in value pretty quickly. These are the kinds of “trigger-points” I aim to find through my research. On the other hand, if a company releases news of falling profits, you could see the share price rapidly drop. And because penny shares are not often traded in large volumes, they can sometimes be tricky to get rid of if you need to sell them. Also, there can be a large difference between the buying and selling price (the bid/offer spread)… Meaning if you want to sell the shares soon after you’ve bought them, you might not get as much back as you put in. Of course, if everything goes to plan, the payoffs can be great. But like anything in life, it doesn’t always work out that way. Now, I would never recommend a share unless I was confident of its success… But the bottom line is: you could lose money if it doesn’t perform as I expect. Your capital will be at risk, so you need to take that into account before investing… you will make a loss from time to time. I understand that’s part of the game. You should too. So remember: as with ANY investment you make, you should only invest with money you can afford to lose. And in my view, penny shares are the only way to make real money in the markets. But the fact is; some people do go into these things with blinkers on. And I just want to make sure you’re not one of them. So, if you’re not prepared to accept a higher degree of risk for a potentially bigger reward... Then perhaps you’re better off consulting an IFA, buying some blue chip shares or even sticking your money in a bank deposit. If it’s in a bank your capital is secure and the 4%-5% you’ll gain in interest is pretty much guaranteed. This is information strictly for people who understand that there are no guarantees with any kind of speculating... People who recognise that if all goes belly up, they might lose part or all of their investment. Yes, there is an elevated level of risk with these shares… But that’s also why the rewards can be so great! So, if you’re risk averse, I’d rather you didn’t claim your four hot stock profiles today… If you don’t have an allotment of spare capital you could do without if you lost it, this isn’t for you... And if your gut instinct is to stay out of the market and keep your money in the bank... Stop reading now and carry on with your day. In this new age of renewable energy, protecting resources and saving the environment, it’s companies like this one that will DOUBLE in value – in this year alone! Mining is as old as man. We started with stone quarries in the stone age and progressed through the bronze, copper and iron ages. While the resources that are in demand have changed during every one of the era’s in mankind’s evolution there is one that’s only grown in demand. The metal I’m talking about is copper. We’ve used it for more than 10,000 years and its uses are still expanding. But I'm not talking about freshly mined copper -I'm talking about Recycled! Nearly 100% of copper is recyclable. So, while mining the metal is profitable, recycling it is even more attractive! Get ready to bank 110% from this new age of renewable energy. This is an exciting company offering: quality, vision, and its part of a sector that is so hot right now, you cannot lose. All in all this company fits the criteria for strong growth and selection to my 5 Hottest Shares to Start You Million Rand Portfolio. His vision for the company is to own ‘lifestyle’ businesses. We’re talking investments in education, restaurants, sports, outdoors, beauty and retirement. He’s using the same business model as he did for his previous empire. And initially the focus will be inside of South Africa, after which the company will go global. He has already made three deals, with another one in the pipeline...Get in today for a 100% gain in the next 18 months. Stick to these four simple investment rules and you could make a fortune in the small cap market – in 2018 and beyond! Rule #1 – Understand the business. A successful business makes a successful share. Ok, so that one might sound blindingly obvious… But too many investors are willing to put their money into companies they simply don’t understand. All it takes is for some newspaper hack to stick a sensationalist investment story in the business pages of The Star and bang! Investors flock to the share like moths to a flame. This is dangerous because it’s pretty much impossible to gage the real potential of a company without understanding it – inside and out… That means talking to company executives, pouring over balance sheets, assessing management teams, researching its history, building a meticulous profile of all its risks and benefits. Still, it’s almost impossible for private investors to understand many of the big blue-chip firms. They simply have too many facets. Their business plans and strategy are too complex. Although their broad spread of operations might provide a ‘safety-net’… It doesn’t help investors like me and you to understand a company’s real, underlying value. That’s another reason why I think start-ups can be a better place for your spare cash… They have simpler business models you can understand. And if you want a chance at the big profits, you’ll need to get a real, tangible sense of that company’s fundamental value. Sure, it takes a hell of a lot of time and effort. But it’s absolutely crucial. Without it, you may as well be blowing all your money on the lotto. Rule #2 – Do not allow yourself to be put off by stock market mood swings. When it comes to investing in shares, you can be forgiven for letting the ‘big picture’ dictate which investments you choose to make. It can be risky putting your hard-earned cash into stocks, especially during particularly turbulent market periods. But the thing is, when you buy a stock, the company is your asset, not the stock market! If that company is solid from the outset, it may still be affected by stock market ups and downs… But it has every chance of making it through the turbulence. Look at it this way… What’s going on with the Greek or Irish economy right now isn’t going to stop a small South African health care company from starting trials on a radical new innovation it has spent years developing… And a small South African company isn’t going to stop exploring new mining opportunities because of unrest in the Middle-East. Chances are you’ll find a whole universe of small cap stocks that most brokers aren’t even bothering to look at… Stocks that STILL have the real potential to meet their aims – whatever mood the market takes. Rule #3 – Favour small companies with a bright future as opposed to big companies with a bright past. Again, this one might sound obvious… But you’d be surprised at the amount of investors who get it wrong. As I said earlier, people are all too ready to put their money in big blue-chip stocks like Telkom and SAB. Why? Simply because they’re familiar. Frankly, I think this is crazy! Remember that S-shaped curve I showed you earlier? Most people buy ‘familiar’ blue-chip stocks when that company has already reached ‘old age.’ You’ll need to avoid the ‘old age’ stage for a shot at the big wins…you’ll need to invest before the majority of investors have even heard of the company. Head down to a pub at lunch-time these days, and no doubt you’ll be surrounded by hordes of young analysts – slouched back into lounge chairs, busy doing nothing. The unfortunate truth is, they seem to have developed a real allergy to hard work. They want fast answers. They want to press a couple of buttons on their Macbook and print off a ‘report’ that will keep their customers quiet. Trouble is – that’s what most investors get. And I’ve been in this business long enough to know that this approach will get you jack squat when it comes to picking a company with great prospects. So… How do you find profit-rich shares? Someone who actually visits the companies… Talks to the CEO’s… And takes the time to fully understand the business plans. That’s where I come in. Even though the shares I invest in do carry a higher level of risk, I’m not some reckless investment hack. I dedicate pretty much ALL my time to doing the leg-work before I’ll even consider recommending a share. Tractor sales have skyrocketed in the past three months. In fact, sales growth has averaged 23% between October and December 2017. This growth is due to the improved conditions in the agriculture industry. Following the droughts, 2016 saw tractor sales drop by 11.3%. And with decent rains in planting areas during December and January, as well as good rains expected for February, the agriculture industry should have another decent year in 2018. But it’s not just agricultural machinery sales that are on the up. The mining industry has also recovered in a big way in the past twelve months. Stats just released show that manganese ore sales are up 84% year-on-year in October 2017. Iron ore sales are up 41.3%, gold 18.4% and coal 14%. That’s massive increases in sales. And that brings me to an investment opportunity that could easily see you gain 101% in 12 months. Remember, full details on ALL these “profit-packed” shares will be yours as soon as you claim your play book. Get straight-up, meticulous research from your very own small cap guru! Today I’d like to work for YOU. I’d like you to accept my free play book offer which includes a a three month, no obligation membership to Red Hot Penny Shares. In return, I’ll rush you the four company profiles featured in this report right away so you can position yourself to DOUBLE YOUR MONEY in the next 24 months. Watch their progress… Or simply ‘paper trade’ my recommendations to see if they are correct. This way you can make sure penny share investing is something you’re comfortable with before putting up your cash. It’s entirely up to you. Either way, I pledge you this: See them profit. Or get a full refund. And I don’t say this blindly: I’m not just some naïve cowboy straight out of business school who thinks big profits can be generated with a couple of buttons on my laptop. The four exciting stock tips I’ve outlined in my play book today are really only the beginning. Right now my portfolio is absolutely jam-packed with stocks. And I think every single one of them is brimming with the potential to make you money. Sign up for your 'Double your Money' Wealth Package today, and you’ll have full access immediately. You’ll be privy to all kinds of money-making opportunities: technology advances, rare metals, new oil discoveries, diamond mines, medical breakthroughs… Each stock I pick is researched to the hilt, and most of them stem from a thrilling history that even the most conservative investor would be excited to be a part of. I believe that the stocks included in your exclusive FREE profiles have the real, tangible potential to make you at least DOUBLE YOUR MONEY, over the next 24 months. Frankly, I’d be surprised if they don’t! 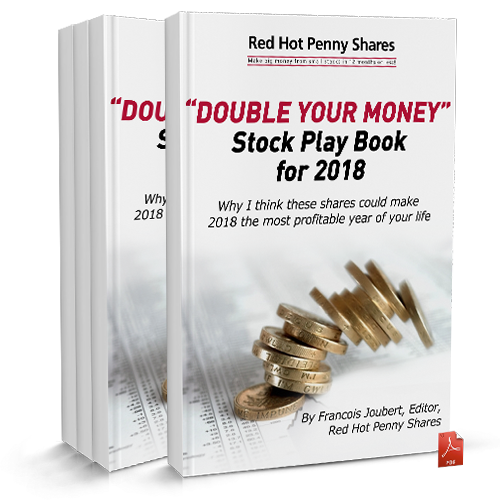 Simply fill out the online membership application at the end of this letter and I’ll send you your FREE Double your Money Stock Play Book for 2018 immediately. Then, for the next three months (and after that if you choose to stay on as a member) I’d like to send you my latest new small cap discoveries. Once a month, you’ll receive a newsletter packed with all the latest share recommendations I believe have the potential to double your money. I’ll tell you what the risks and potential rewards are, what price I recommend to get in at, and what I’ve calculated as a realistic target price. PLUS, I’ll tell you what action to take on existing shares in the portfolio, whether to buy more, sell or hold your position for the time being. You can follow some, all or none of my research. You can invest in the shares I provide, or simply paper trade them for a while. It’s entirely up to you. I’ll also send you email updates every Tuesday, where I pass on urgent news and updates I hear that might affect your shares. If the halo starts to slip on any of our shares, I’ll email you and advise you to sell your holding – that way we’ll aim to keep any losses to an absolute minimum. If, during this three-month membership you decide that my Profits package isn’t for you, simply cancel. I’ll give you a full refund. No questions asked. And the play book plus the issues and updates you’ll get will be yours to keep – for FREE – no matter what. Consider them a gift for agreeing to try my newsletter! Be warned: this is seriously addictive stuff! Especially when you bought it for pennies! How much will you pay should you decide to stick around? I won’t insult your intelligence. I get paid quite reasonably by my publisher to provide this service. If I can be blunt about this – income is of little importance to me. But I’m still a businessman. And my expertise does come at a price. So a one year membership to Red Hot Penny Shares will cost you just R1,270. (R106 a month). That’s it. That’s what I normally charge. Let me put that into context for you: I know some fund managers who charge that for a FIVE MINUTE consult... My share advisory service works out at R3.41 A DAY! That price includes a monthly online research report filled with my latest share tips; in-depth analysis; and a summary of why I think these stocks are worth a punt. And each Tuesday I’ll send you an important email updating you with any news on our open portfolio positions, detailing their progress and whether you should “buy”, “sell” or hold on for the ride! Plus, you’ll have full access to our exclusive member’s website and the entire Red Hot Penny Shares archive. When you consider the number of high potential companies I’ll be clueing you up on, I reckon that R1,270 seems like a pretty good deal. Now, R1,270 is the full official fee. But that’s not what you will pay today. My publishers have kindly allowed me to offer you an introductory price of just R870 (R106 a month) for your first year – provided you respond now. That’s a massive 31% discount! Just fill in the online membership certificate at the end of this letter to activate your 90-day ‘Unlimited Profits’ package, and everything you’ve read about in this letter is yours – for less than the cost of dinner for two at a half-decent restaurant! Now I don’t want you to make any decisions just yet – because that’s not all you’ll get should you accept my free playbook offer today... The offer gets much better…. Three FREE gifts that aim to make you a smarter, richer penny share profit hunter! 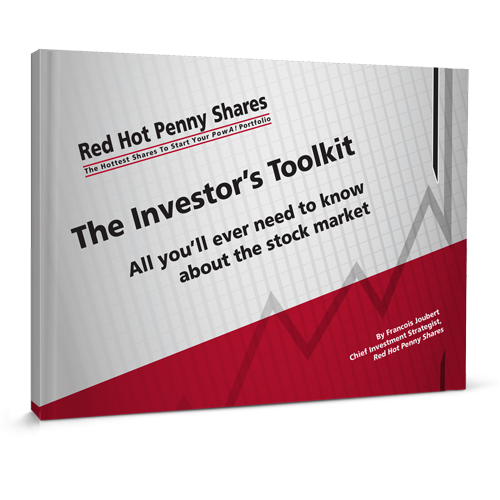 This exclusive report is designed as a step-by-step guide for new stock market investors. In it you will find all the tools, tips and tricks you need to intelligently evaluate any share on the market; including how to grasp the intricacies of PE ratios, earnings yield, net asset value, cash flow and more. 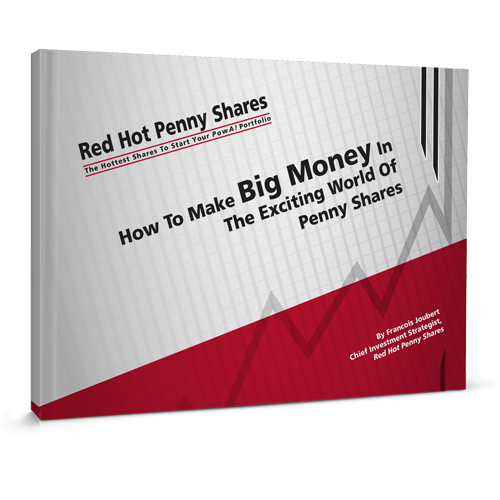 This guide includes absolutely everything you need to know about investing in… and profiting from… the exiting world of penny shares. MoneyMorning daily e-letters are packed with ‘must-know’ market intelligence and contrarian commentary by top market analysts that will take you into the exciting world of investing. If you hate to waste time reading mediocre financial ‘news’, then you’ll love MoneyMorning! My weekly Tuesday email alerts will bring you up to date on our current share selections, and up-to the-minute information on emerging penny share winners to boost your portfolio – in short, everything you need to know to quickly act on and make money. Send me your questions, day or night, about any share in our portfolio and I’ll address your queries in my weekly email updates. You’ll get your own personal password so you can log onto our new investment portal, day or night. Here you will discover a comprehensive archive of past issues, all my personal recommendations and a constantly expanding library of special report and specific time sensitive opportunities. I have negotiated special discounted rates with some of the best brokerage houses in South Africa – exclusively for my Red Hot Penny Shares members. PS: I believe the four FREE DOUBLE YOUR MONEY stock recommendations I’ve described to you in this report could be right on the verge of pulling in some serious profits for investors. There’s no telling how fast or far their share prices will soar. All you have to do to get started is fill out and the online membership certificate today; and I’ll send you your four exclusive company profiles as soon as I have your certificate in hand. Remember: these profiles and all the additional FREE gifts detailed in this report will be yours to keep whether you decide to continue with your subscription or not. PPS: My strategy locks onto the kind of stocks most investors never hear about until long after the BIG gains have been made. I’m offering you first dibs on what I believe are some of the most exciting, potential-packed profit opportunities out there today! And I’ll be amazed if the four stocks I’ve already outlined DON’T DOUBLE YOUR MONEY over the next 24 months. DOUBLE YOUR MONEY TODAY... complete this RISK-FREE Membership Certificate now! This is your written guarantee that I willingly make to all new subscribers. Red hot Penny Shares must live up to everything I've said about it - and more. Once you receive your welcome package, read the material carefully. Make sure that you agree with me that it's everything I've said it is. Carefully read the FREE reports. Make sure that they too live up to the statements I've made about them. Follow my selections, see how well they perform. I'm THAT confident. You have three full months' that's 90 days!) money-back guarantee. If you're not 100% delighted and thrilled, I'll refund 100% of your subscription money and you get to keep your free bonuses as my 'thanks for responding'. What could be fairer? You can take advantage of the special price of R870 per year.